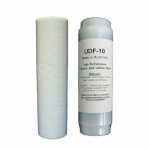 UDF-10 GAC High Performance, High Flow 5 Micron Replacement Filter. Raindance 6-CA-UDF-10 Granular Activated Carbon Cartridge. Australia Made Quality. 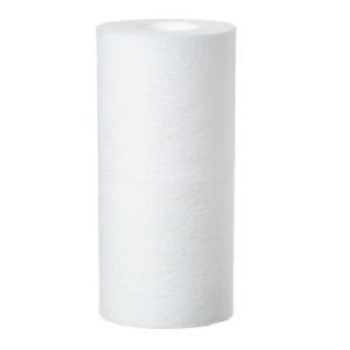 Built in sediment prefilters with high capacity carbon granules. Idea for Chlorine, Chemical, Bad Taste & Odours. 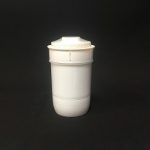 Used in all types of water filters from bench tops, under sink systems, ice makers, soft drink dispensers in pubs & clubs. 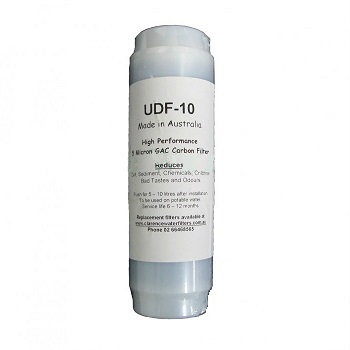 Replaces the Aqua pure AP117 and Raindance UDF-10 water filter cartridges. 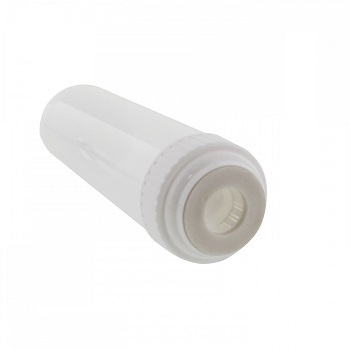 These filters will fit all standard 10″ filter housings.